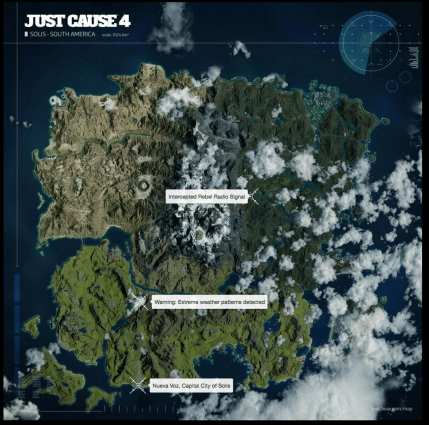 Just Cause 4's official website has revealed the map that players can expect to explore once the game actually launches later this year. If you’re a fan of the Just Cause series, you’re probably expecting a pretty hefty amount of things to do in the game, alongside a humongous open world to explore. Well, lo-and-behold, Avalanche Studios did not disappoint. 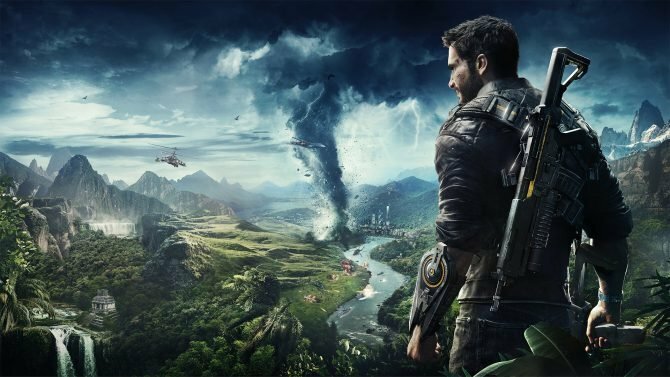 Just Cause 4’s map has been revealed and it looks quite large. If you head over to the game’s official website, there are some little prompts on the map you can discover for yourself that seem to reveal mysterious audio from the title. 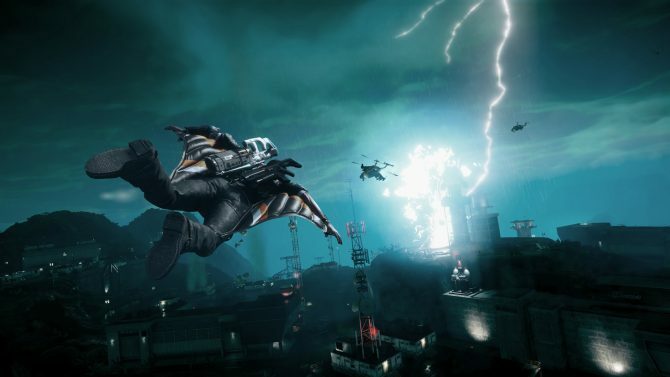 Earlier this month, Square Enix and Avalanche Studios revealed some gameplay for Just Cause 4 showing off the new natural disasters. Also, if you happened to miss it, we got to go hands-on with the game at E3 earlier in the summer. 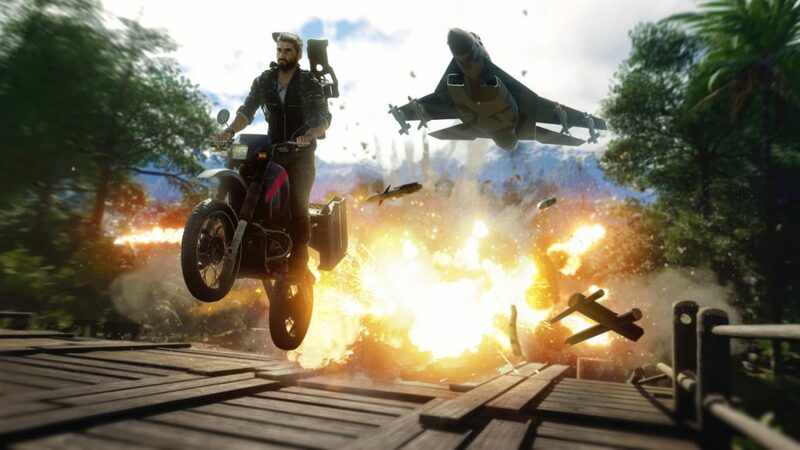 Just Cause 4 is slated to come out on December 4 and it’ll be available on PS4, Xbox One, and PC. 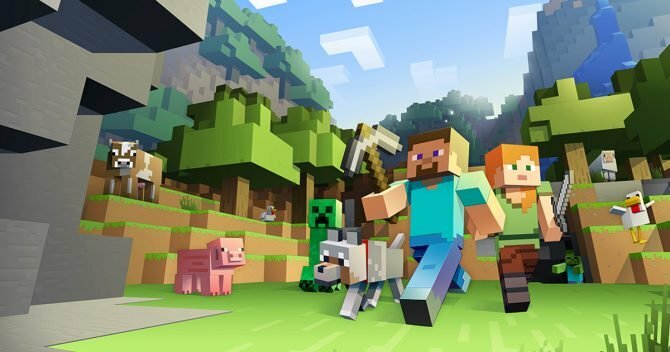 If you haven’t yet, you can preorder the game on Amazon right now.